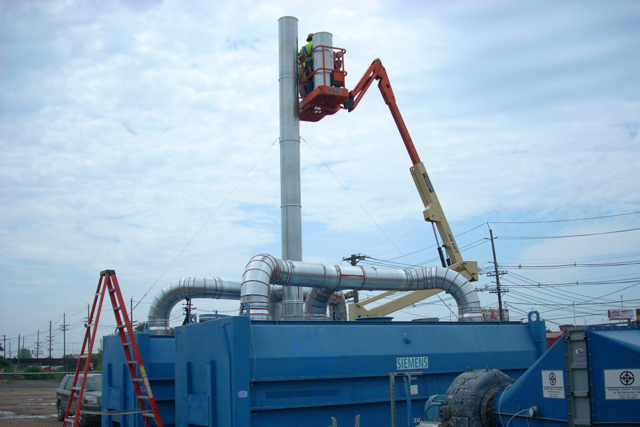 GWTT designed and built a proof-of-concept and then full-scale treatment system for remediating coal tar at a former cresol manufacturing facility. The coal tar was successfully destroyed by a smoldering combustion process. The full-scale system was used for the remediation of 26 tons of coal tar. GWTT constructed an air injection system comprising two 600 CFM air compressors, an injection manifold, process lines, and well head connections. 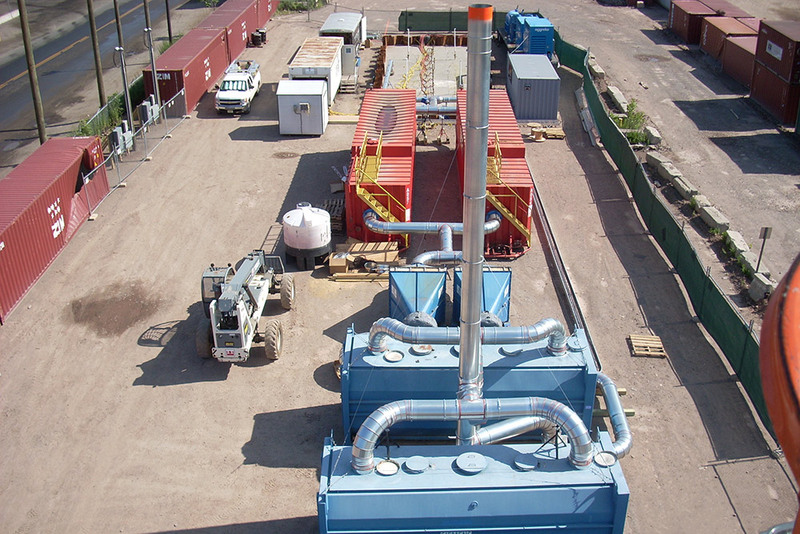 Additionally a 12,000 CFM soil-vapor extraction (SVE) system was constructed to remediate off-gasses generated from the tar remediation process. 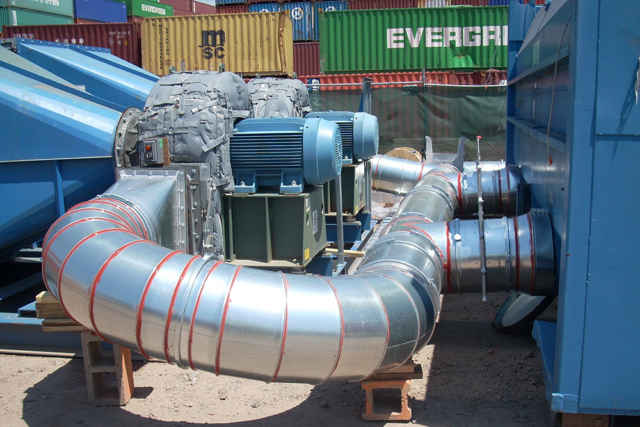 The SVE system consisted of two 12,500, 100 HP blowers, two 21,000 gallon closed top frac tanks (used as moisture knock out tanks / temperature convection chambers), two 10,000 pound vapor phase granular activated carbon units, two SVE wells, and a 40-foot discharge stack. A custom electrical enclosure was designed and built by GWTT to control system equipment and instrumentation via a control panel and to distribute power to the associated equipment. In addition, the project required total containment by installing sealed sheet piles around the project perimeter.